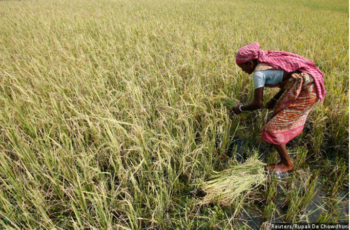 “Nearly 49 percent of India’s population depends on agriculture as their primary source of livelihood. However, agriculture’s share in GDP has been declining over the years1 . 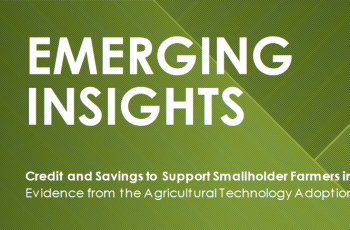 While there has been an impressive growth in agricultural credit flows in the last decade or so, ensuring timely and adequate institutional credit to farmers on the ground remains a challenge for policymakers and financial institutions. This trend is corroborated by the dominance of non-institutional sources, which continue to account for a significant share of borrowings among agricultural households (Mor Committee Report, 2013). Thus, a more refined understanding of farmer’s credit requirements across agricultural seasons and factors that explain the dominance of informal sources is vital. “Seasonality: Majority of borrowings at the beginning of the farming season are from formal sources (72 percent of volume). This drops to 35 percent during the course of the season. Information and Access: Limited information about sources of formal credit, as well as poor access to them are still major constraints for farmers.